Yesterday evening Nokia hosted a Lumia #Switch Party at the Flat Iron Square in Southwark. The event celebrated the launch of the Lumia 920 and 820 Windows Phone 8 smartphones, and is a sequal to last year's mind blowing '4D' projection performance at the Millbank Tower in London. So how could Nokia and deadmau5 top last year's crazy display? Well they didn't, but then again, they didn't exactly have to. As this year's performance location was kept secret (the event was exclusive to Nokia staffs, competition winners and a few guests), it was billed as a more intimate event. The rather heavy handed approach by security did annoy us a little bit (the event was oversubscribed) and it didn't help that no one knew exactly where they should be facing so everyone just pushed forward towards the Shard. Sure, the effects did not blow our mind like last year's, but the music at least did. 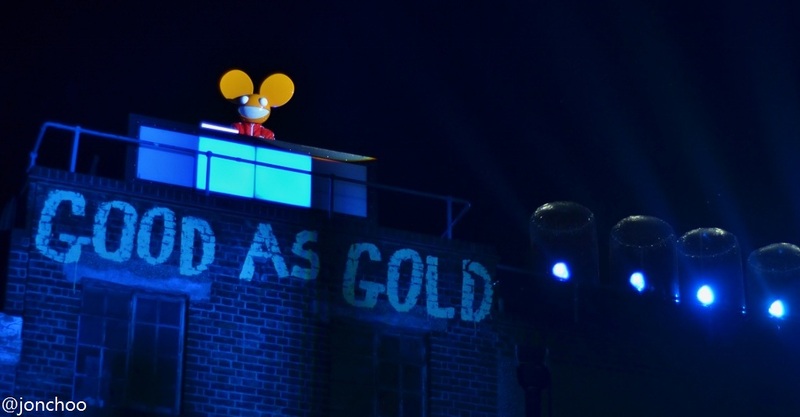 Using the surrounding buildings around Flat Iron Square as props and special effects for the gig, deadmau5's cracking performance matches the area perfectly. Props to Nokia for the invite and deadmau5 for an entertaining, if chilly, night. You can find more pictures of deadmau5 on my flickr.